EMKO says hello from Milan! This spring we are happy to announce about being present at Milan Design week and even longer, much longer. EMKO was kindly invited by the Archiproducts to join their Design Hub for valuable members and could not resist the opportunity to be among the bests in Tortona district, starting the 3rd of April. “Milan is fabulous! All the Design companies desire to be there, and since we had this opportunity, there were no hesitations”, - explains Erika Markovska-Mikulskiene, the founder of EMKO. Therefore, for whole year starting the beginning of April EMKO products will be available to visit at via Tortona 31, Room no 2. The visitors will have the opportunity to “meet” the first product of EMKO which is still on the top of the sales My Writing desk, also the modest but unique Naïve chair as well as it’s bigger brother semi-bar stool. Furthermore, one new product of EMKO getting huge attention from all over the world – Pill will be there. It’s something special, something hidden, something for your personal items to be safe. “We are very looking forward to come to Milan and install our products there. Also, all our team will be present at the show for the first few days to talk with visitors and get some feedback, it is very important to us to get in touch with consumers of EMKO products, so we can keep working in the right direction. But, frankly, I am sure, people will fall in love with them!”, - smiles Erika. A thing to remember: via Tortona 31, room no 2, starting with 3rd of April, open for whole year EMKO products exposition is looking forward to meet every Design lover! Paris - we are coming back! Great country to show our great design again. We are looking forwards to see you 1-3 June in Big Sight, Interior Lifestyle Tokyo! Stand No: 2-113〜123 in section GLOBAL. Hey there – we have never been to any shows to Warsaw and there is a first try! The show http://art-fair.pl/ is organized first time and if You have a chance – come to check it. Our stand no is M17-18. EMKO in the showroom in Paris! For all the interior designers and architects in Paris and around EMKO has great news! 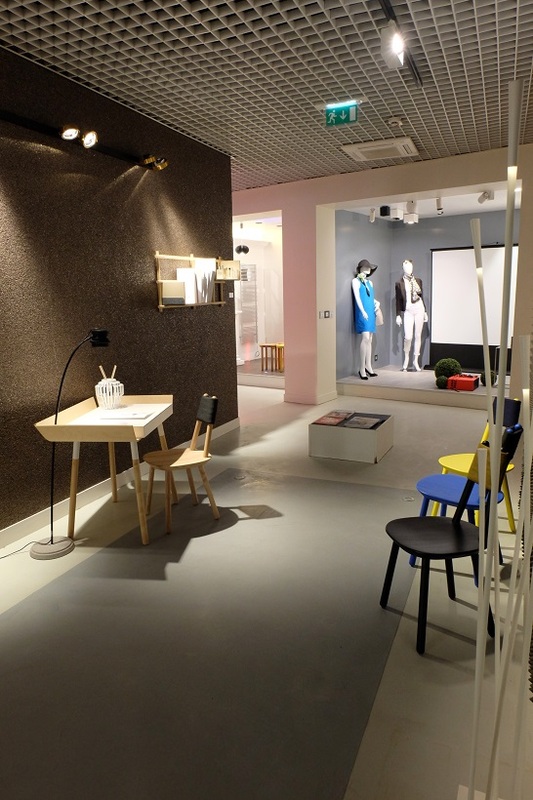 The Luminter showroom located at 27 bd de Reuilly in Paris made an exposition with EMKO products. If you ever wonder how comfortable Naïve chair is, or what the feeling is sitting at the My Writing desk, and having Foldin hanging next to you, you are very welcome to come there and feel everything by yourself. Have your own impression! Paris again! Did you miss us? Come and meet us in London! Visiting Paris? See you there! We got so much attention! Futhermore - our flagman, My writing desk is published in design magazine Coolture magazine http://www.coolturemag.com/coolture-magazine-verano-2015/ check page 83! We thank both teams for good selection ! May – the month of Design! This year May is surprisingly rich with Design events! 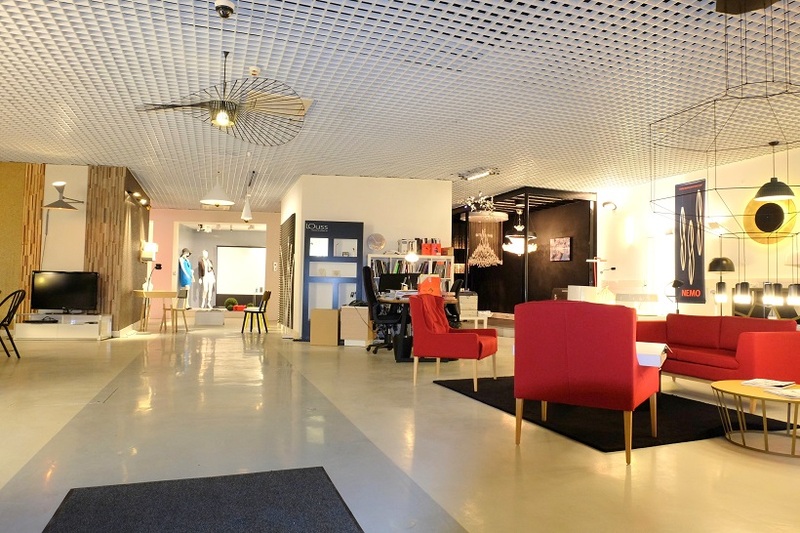 Vilnius, Minsk and London are welcoming Design lovers to see the newest trends and the strongest Design makers. EMKO team is happy to participate in each of them! Let’s be into Design together! The team of EMKO is happy about great results in developing new products, last year in our assortment four new items were included. Two of them will be presented in the furniture fair Baldai 2015 which is taking place in Vilnius, March 26-29: the chair named Naive and special edition of already well known My Writing desk. Together these two products create a beautiful, and most important, comfartable working space. Naive received this name for it‘s simplicity and modesty: six sticks and one seat, but that’s all it takes to have a convenient and extraordinary piece of furniture. We are looking forward for all who wants to meet our new products! We are happy to invite You to visit our stand in Frankfurt Ambiente trade fair 13-17 of February. It will be premiere of our brand new chair Naive, designed by etc.etc. Hall 11.0, Stand B15. More info at http://ambiente.messefrankfurt.com/frankfurt/en/besucher/willkommen.html. See You there! Come and meet us in Copenhagen, Dome of visions 1-5 October, where we will attend at Lithuanian design days. Emko team is happy to come back home after busy week in London; our products were presented not only in 100% Design in united Lithuanian stand, but also in the Design Junction A Life Curated stand after My Writing desk won the competition and was selected from all the participants in furniture section. Emko thanks to LDF as well as to A Life Curated for busy but definitely worth it week and moves forward to new projects and works. It‘s a pleasure to present you 2 new products in our collection. This is My Writing Desk in new finishing – clear lacquered ash veneer. And My Reading Chair – chair for you and your book. Leading Lithuanian industrial designers will present a selection of 21st century classics for the first time at 100% Design. The majority of designs to feature on the Lithuania Pavilion have been selected from work by the winners of Lithuanian design award Good Design and demonstrate innovative design solutions. Visitors will have the opportunity to become acquainted with Lithuanian design, which showcases high quality woodwork, new technologies, and modern interpretations of folk art patterns. The Lithuania pavilion is organized by the Lithuanian Design Forum, supported by the Lithuanian Council for Culture and the Embassy of the Republic of Lithuania in the UK. Call us in advance – we might be traveling! This year international Red Dot Award: Product design came to Lithuania; two products created by young Lithuanian designers Inesa Malafej and Arūnas Sukarevičius and developed by company EMKO: My writing desk and shelving unit Foldin were evaluated. „This award is very important not only for our company and designers, but for whole concept of Lithuanian design as well“, - says Erika Mikulskienė, the director of commerce in EMKO. Both designers have graduated Bachelor degrees in Vilniaus Dailės Akademija, “My writing desk” was the final work for Bachelor of Inesa, with supervising of Doc. Povilas Juškaitis. At the moment designers are studying their Masters in the Royal Danish Academy of Fine Arts in Copenhagen. “It is a great honour for us to receive two awards in such a context”, - the words of P. Zec comments E. Mikulskienė. Red Dot award 2014 winner was received My Writing Desk. Shelving unit Foldin was evaluated by Red Dot award 2014 honourable mention for especially refined detail solutions. Both products are being produced and sold already for two years in Europe and USA. In 2014 EMKO has signed the contract of partnership with company in Singapore, thus the geography of sales is increasing each year. This year shelving unit Foldin designed by etc.etc. and developed by EMKO has been successfully introduced to Lithuanian market during the furniture fair “Baldai 2014”. Furthermore, Foldin received the main award of this fair for easy, but smart and strong construction and innovative design!